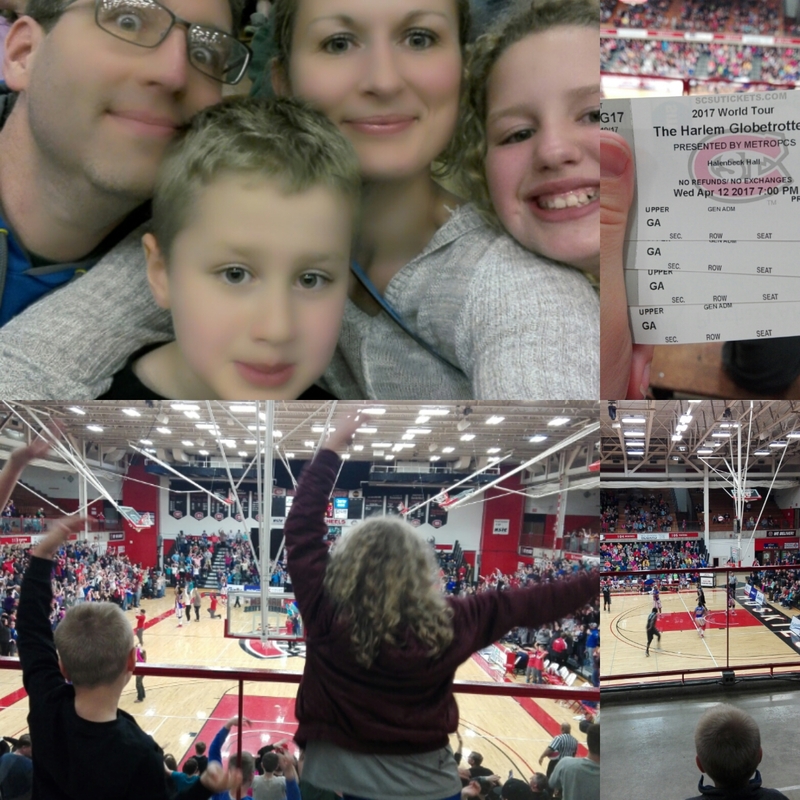 We had the opportunity to go see the Harlem Globetrotters again tonight. We took my son last year and he had a blast. Last year we saw it at Target Center and it will be there this weekend as well. We went to see it at Saint Cloud State University as it was mostly on our way up North and it gave my daughter the opportunity to see a game as well. She was bummed that she missed it last year. The Harlem Globetrotters are also going to be in Duluth and Rochester Minnesota this week as well. So if you are in other parts of the state and not in the cities you have a chance to go see it as well. The score showed here is from half-time. And a couple of selfies with my kids individually and a family picture above. I had seen the Globetrotters once before when I was in high school. I think a lot of people have memories of seeing it from their youth because the Harlem Globetrotters have been around for a long time. In fact, this year is their 90th year anniversary. It was certainly a good experience to be able to share this with our kids and they can have a shared memory of when they saw the Globetrotters that they might share with their own family in the future. My husband and I both remember that there was a lot more tricks during the game and ball spinning and more basketball playing then skips throughout the game. We all agreed they don't need to Mike the person that is blowing a whistle because that is too loud. We enjoyed our seats at Target Center more than at st. Cloud State University because we had seat backs there. At the University general admission was sitting on bleacher seats. After a two hours of entertainment you start to get a sore back. Here is just a picture of all the official merchandise that is available for purchase. They offer three different types of basketballs including a mini basketball for $20 a regular size basketball for $25 and a game ball basketball for $60. 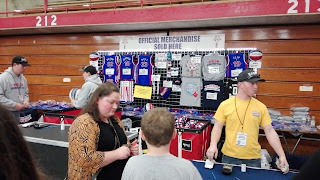 You can also buy jerseys and shorts a stuffed Globie, sweatband (cheapest item at $10) and t-shirts. At the end of the game they do an autograph session and you can bring any of this to get signed. 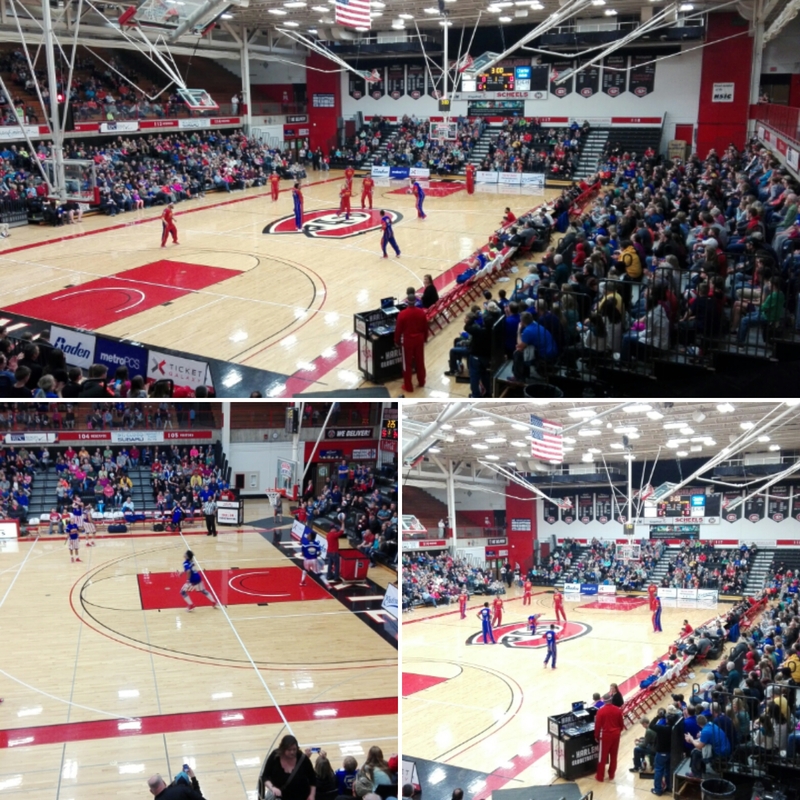 Check out the Harlem Globetrotters with your family and friends too! Harlem Globetrotters for the Win! - SAVE 25% OFF TICKETS! The Harlem Globetrotter's Wow the Crowd in East Lansing, MI - SAVE 25% OFF Tickets! The Harlem Globetrotters: Real Game or Fun Show? (+use promo code FUNFAM to save 25%! Harlem Globetrotters for the Win! Harlem Globetrotters - Coming to a Town Near You! 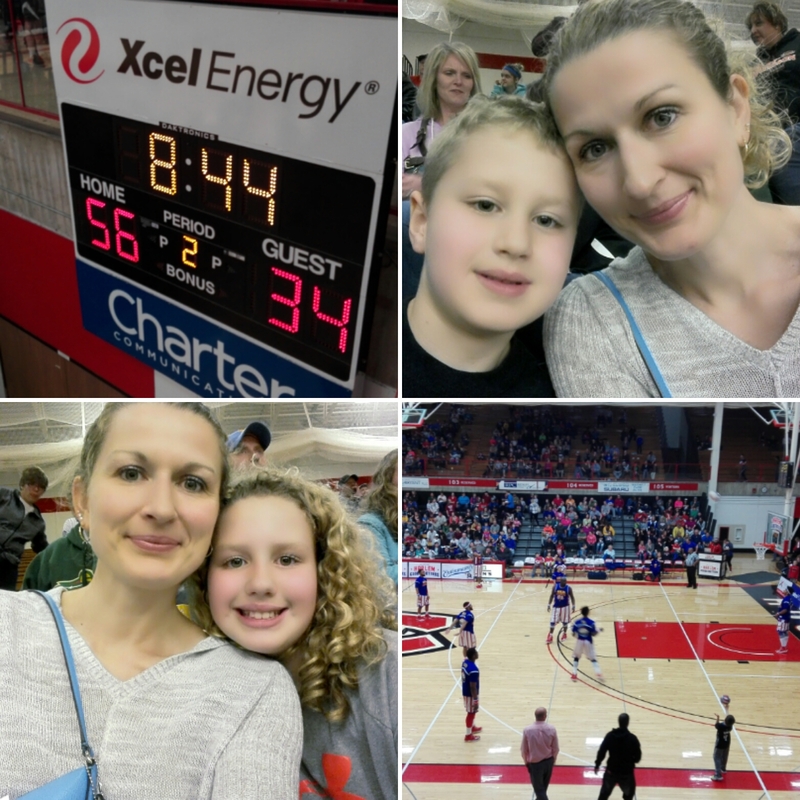 A GREAT Time was had by all at The Harlem Globetrotters Game! Use Promo code FUNFAM! Save on Harlem Globetrotter's Tickets! Save 25% on Harlem Globetrotters Tickets - Family Fun Night! This Family Enjoyed Harlem Globetrotters My first Harlem Globetrotters game was a blast. Harlem Globetrotters 2017/2018 World Tour - Save 25% with Promo Code FUNFAM! New Family Tradition's with Harlem Globetrotters. Harlem Globetrotters: Discount Code and More! SAVE 25% for ALL Harlem Globetrotters Games! Harlem Globetrotters Brings Family Fun To Your Town! Save 25% Now! The Globetrotters do it again!